The Tetons are arguably one of the most rugged and photogenic ranges in the Rocky Mountain West. 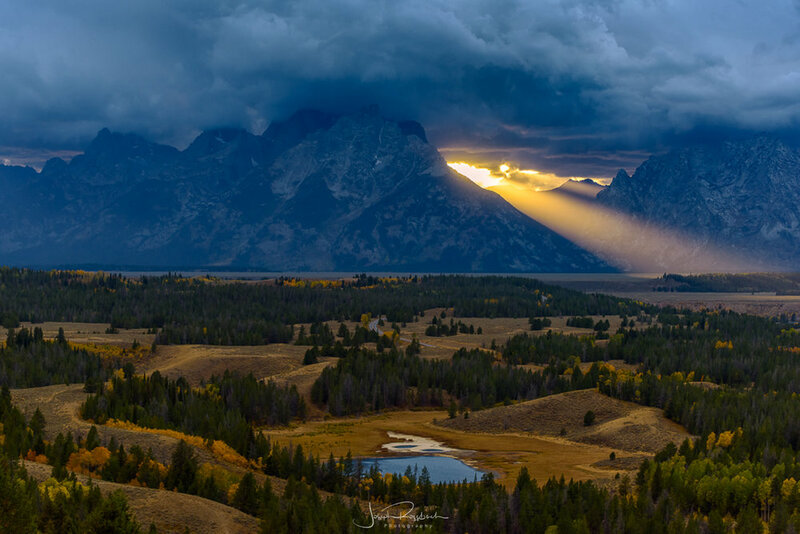 Photographers from all over the world make pilgrimages to Wyoming to photograph the majesty of this magnificent national park. While photographing the Tetons during any season is fantastic, we think autumn is prime time. In addition to stunning mountain views late September brings on the golden color of aspen and cottonwood stands and the changing season can ofter produce dramatic skies. Our group size will be capped at 10 on this workshop to ensure an intimate shooting experience as well as maximize the instructor to student ration of 5:1. Join us for this 5-day inspiration packed exploration of this magnificent and wild region of the Rocky Mountains. 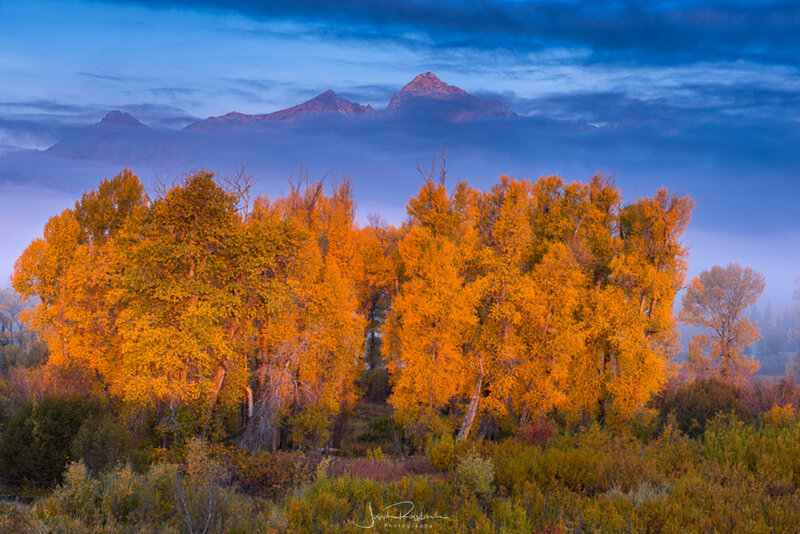 Photograph one of North America’s most stunning and iconic mountain ranges, the Grand Tetons with peak autumn color in the Cottonwoods and Aspens surrounding this magnificent park. Group is capped at 10 participants for maximum in field and classroom instruction. Workshop dates are set to optimize the best fall color. Post-processing classroom training is scheduled each day to help you make the most of your image captures including expert instruction in Adobe Lightroom and Photoshop. There will be no strenuous hiking involved during the workshop and most locations will be close to the road. Some locations, however may involve a short hike of less than a mile with elevation gains under 150 feet. We will be spending a lot of time shooting in mountainous terrain and thick aspen forests. Hiking boots and a modest level of health and fitness will greatly enhance your experience. This is only a sample itinerary of what to expect. We keep our itineraries open and flexible to allow us to put you in the best locations under the best light and weather conditions for great photography. Day 1: Meet and greet at the Canaan Valley resort and Conference Center in our classroom where Joe will kick things off with an introductory presentation discussing many of the techniques we will cover in the field over the next four days from com position and light to use of filters and special techniques. Afterwards we will head out for an amazing sunset looking down a rugged canyon. Day 2: The forecast looks good for a great sunrise, so we will be leaving two hours before sunrise to drive up to the top of Dolly Sods, a windswept mountain top with scenic vistas to the east. On the way down the bumpy forest road, we will stop at several locations to photograph spring wildflowers and forest scenes. After a break for lunch, we see tin class to discuss developing RAW files using Adobe Lightroom. In the late afternoon, we spend a couple hours photographing waterfalls in the shade of the canyon before heading off on a short hike to a canyon overlook for sunset. Day 3: It’s raining this morning, so we are off to shoot more waterfalls and streams. The light is perfect and we spend four hours in the field all morning shooting a variety of waterfalls. After lunch, we get back together to dig deeper in post processing, this time exploring the many advantages of working in Photoshop. The weather is wet and dreary, so we have an image critique and then head out to photograph waterfalls the remainder of the afternoon leading up to sunset. Day 4: The forecast looks amazing for fog this morning, sop we are taking a one hour drive shout to photograph a foggy sunrise at a remote mountain lake. After sunrise, we work macro images of dewy webs in the meadow behind the lake. After driving back to the hotel, we have a lunch and then have a image critique of some of your favorite work from the trip. In the afternoon, we shoot another waterfall before heading back up to the top of Dolly Sods for an amazing last sunset together. Circular polarizing and neutral density filters for your lenses. If you shoot with graduated filters, bring them along! Kurt has been photographing the natural landscape for over 20 years and has been a professional photographer for the past 13. His photographs and articles have appeared in numerous books, calendars, advertising campaigns, magazines and are routinely used by non-profit conservation organizations working to protect wild lands. 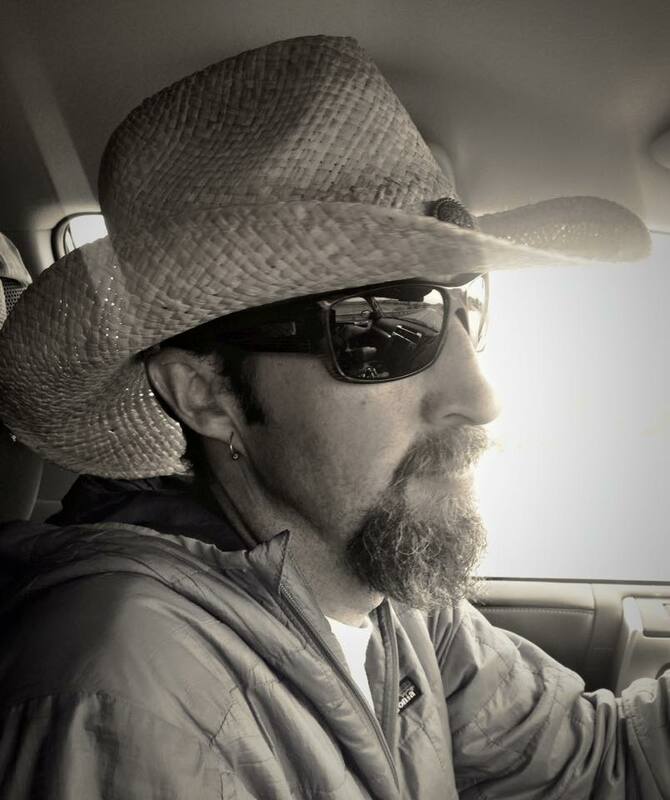 His clients include Outdoor Photographer, Popular Photography, National Geographic Adventure, Outside Magazine, Backpacker Magazine, Vermont Life Magazine, Eastern Fly Fishing, Patagonia, 1% for the Planet, Trout Unlimited, Trust for Public Land, The Nature Conservancy, and many more. Kurt has been a professional educator for over 25 years. Prior to becoming a professional outdoor photographer and workshop leader, Kurt was an outdoor and environmental educator, interpretive naturalist, guide and then a middle school science teacher in Vermont.